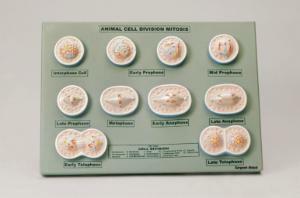 This set of 10 models shows all stages of mitosis in an animal cell. Models are mounted on a plastic base. 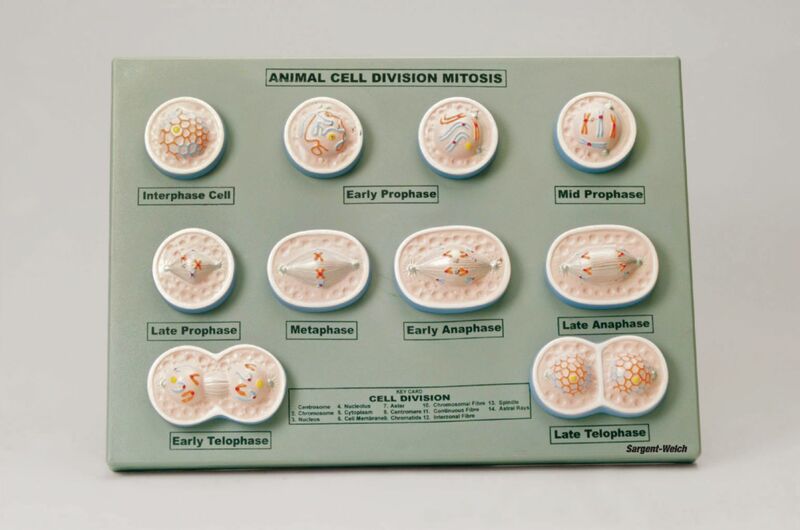 Students can view the changes that occur from a resting cell through early prophase, prophase, late prophase, metaphase, anaphase, late anaphase, and telophase.